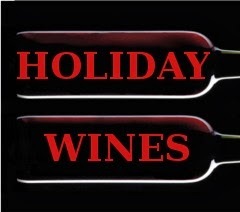 Another holiday season is upon us, and the fine folks at Whole Foods Markets have another selection of wines that are perfect for the holidays. Not only are they holiday-ready, but they are on the shelves at wine-equipped Whole Foods stores. As usual, they are priced so you can splurge a little on the turkey, or the ham, or the standing rib roast, or whatever you have in mind to highlight your holiday feast. Ashley Hawkins, a representative of Whole Foods Markets, says this year's WFM holiday picks, "showcase a wide variety of wines from a perfect-for-turkey-and-ham silky Sonoma County Pinot Noir to a French Chardonnay-Viognier with a round, fruity softness that pairs well with yams and cranberry." Some of the the wines were tasted in a virtual tasting event on Twitter a couple of weeks back, and another Twitter Tasting is set for Thursday December 4, 2014. See the wines below. I'll be writing about the wines separately, but you can get an idea of what to expect with the descriptions from Whole Foods, shown below, along with their favorite food pairing for each. 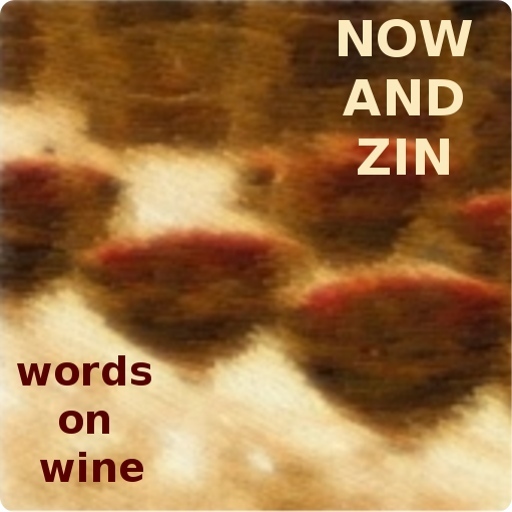 “*” denotes a wine which is available only at Whole Foods Markets. Pick up a bottle or two and join the social media crowd for both of these Twitter tastings. Follow along in the hashtag #WFMWine to get the full effect of the fun that can be found while tasting and tweeting. "From the Central Valley of Chile, this bright, fresh white has aromas of lemon and grapefruit with a hint of honeysuckle, and mineral notes are balanced with a green apple acidity. Pairings: Mitica Campo de Montalban, Manhattan clam chowder, shrimp cocktail, mussels, sliced pears." "Surprisingly fruity, pleasant and approachable with a touch of green pepper aroma, this red has flavors of blackberries and ripe plums that accentuate the juiciness of this easy drinking wine. Pairings: Ford Farms Seaside Cheddar, cranberry turkey sandwiches, veggie lasagna, cassoulet, beef enchiladas." "There is an attractive baked biscuit aroma in this inky, hearty red. Black and blue fruits come forward and then recede into a rich, elegant, full-bodied finish. Pairings: Cabot Clothbound Cheddar, steak and Guinness pie, twice baked potatoes, buttery pastry crusts." "Earthy, herbaceous aromas in this brick red wine lead to a refined minerality and complex dark fruit flavors. The terroir of Priorat, Spain proudly shows in the glass. Pairings: Guilloteau Fromager d’Affinois, barbecue, hearty veggie stews, Brunswick stew, grilled ribeye." "Stone fruit aromas give way to an enticing minerality and vibrant acidity in this organically grown Italian white. Pairings: Oro del Tiempe Piave Vecchio, delicate seafood, shellfish, lemon vinaigrette, citrus fruit salad"
"Subtle aromas belie big flavors of green apple, lemon and vanilla bean. A pleasant richness hints at the use of just the right amount of oak for a lovely balance. Pairings: Cypress Grove Midnight Moon, poached turbot, Cornish hens, chowders, lobster bisque, cream sauces." "With aromas of warm spices and stewed blueberry flavors that mingle with woodsy hints of smoke, this textbook Argentine malbec has a roundness that makes for an easy drinking classic. "Mineral, earthy aromas are found in this deep garnet Spanish red. With bright, sunny fruit flavors like ripe cherries, this Rioja has a lingering, well-balanced finish. Pairings: Mitica Mahon, grilled meats, pork chops, eggplant marinara, charred steaks."